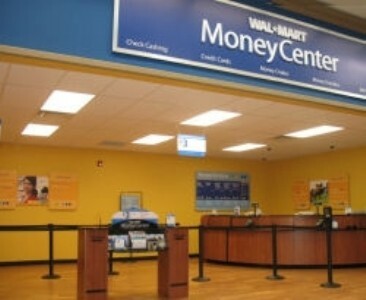 Currently, Walmart offers a number of financial services for its customers. This includes check cashing with some limitations. Every Walmart location is capable of cashing certain types of checks for customers. Plus, the company is known for charging competitive rates for cashing each check, depending upon the total value. A cheaper option isn’t available in most areas. Thousands of customers utilize Walmart’s money services in order to handle their financial tasks each week. Why should customers consider check cashing through Walmart? First and foremost, Walmart check cashing is perfect for customers that don’t have a bank account. Individuals that utilize the Walmart MoneyCard benefit from this service because reloading a Walmart MoneyCard by check waives the reload fee. Other check cashing services or businesses often charge a hefty convenience fee today. By choosing Walmart, consumers can keep more of their own money in their pockets. Most consumers don’t have to travel too far in order to reach their nearest Walmart location either. Walmart won’t cash personal or third party checks. However, payroll and government checks are accepted. The same applies to tax refund checks and MoneyGram money orders, too. Each store will cash checks up to $5,000 in value and not a penny more. From January to April each year, this limit is raised to $7,500 per check to accommodate tax return season. Exceptions can be made on a per case basis with the approval of a store manager, but exceptions aren’t made that often. What fees are assessed on checks? Fortunately, Walmart offers its customers a simple fee schedule for check cashing. Checks of $1,000 or less are assessed a $3.00 fee each. All checks between $1,000.01 and $5,000 come with a reasonable $6.00 fee. For tax season, the $6.00 fee applies to checks from $5,000 to $7,500, too. Most businesses charge one percent to 10% for check cashing, which is many times what Walmart charges customers. No other fees are assessed when it comes to this particular service from Walmart, though. In most cases, customers will receive cash for their checks at Walmart. Holders of the Walmart MoneyCard can opt to load funds onto their cards, though. A $3.00 service fee for the card reload is waived. For card reloads, it’s important to note that the check cashing fee still applies no matter what. Another option involves putting the funds onto a MoneyGram money order to pay a third party. Customers can’t load funds onto their other debit cards or financial instruments. No registration process is required in order to cash a check at Walmart. Customers are required to submit their social security number and driver’s license alongside each check. For first-time customers, their information is run through a consumer reporting agency. This service helps prevent fraud and will deny customers that have tried to cash bad checks in the past. Every visit after the initial one takes mere moments to process each check. From there, customers receive their funds immediately. Are there any disadvantages to this service? Walmart check cashing comes with few disadvantages. Still, individuals with a checking account might prefer to use their own banks. A $200 hold for most banks doesn’t apply to checks cashed at Walmart, though. This means customers can get all of their cash right then and there. If a customer’s check is denied, then they often can’t acquire their money that day, which can cause problems. For the most part, Walmart’s financial services offer many benefits and very few, if any, disadvantages. Should you use Walmart’s financial services? When it comes to cashing checks, Walmart offers each customer an incredible value. Aside from banks, no other option charges lower check cashing fees. Few limitations are placed on this service. Individuals without a checking account benefit most from cashing checks at Walmart. Therefore, this option works for most consumers and helps them receive almost the full value of their check every week. If you had previously written a bad check to them will they deny cashing a payroll check?